I am not a fan of pulled pork. I've discovered I'm actually not much of a fan of what's considered "American food". For example, if given American cheese, I will rage to the food gods. Because it's simply not cheese. Your typical casseroles, meatloaf, pot roast, etc etc. Never been a fan. Some say I'm a food snob. They may be correct. But if you're not going to thoroughly enjoy your meal, what's the point of eating it? What I'm also discovering, is that there are no bad recipes on www.thechew.com. Well, disclaimer. I haven't ever cooked any of the recipes that were put on there by the home chefs, or some of the guest chefs. I'm only talking the host recipes here- Mario, Michael, Clinton, Carla and Daphne. And, since then, I've stretched my palate to include those American meals that I've up until now dismissed. And I'm finding I really love them. Like, dream about them and eat them cold the next morning love them. And this is definitely one of them. 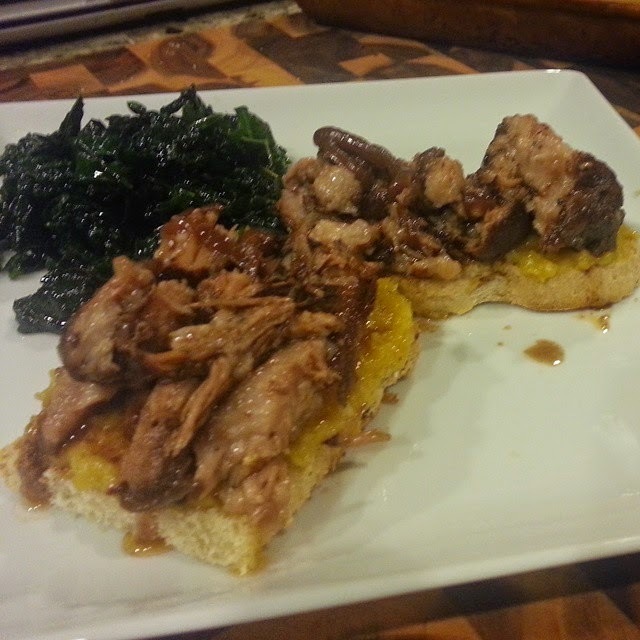 Mario Batali's Halloween pulled pork sandwich. I happened to have pork shoulder just waiting to be made into carnitas. But I had 5 1/2 pounds of it, so I figured since it was just babygirl and I, we could take a pound or so and try this out. Plus, I had some sort of squash in my fridge that was never going to be eaten by us (it was a default item in our local produce delivery service last week, and we typically are not fans of squash). So this recipe looked perfect. 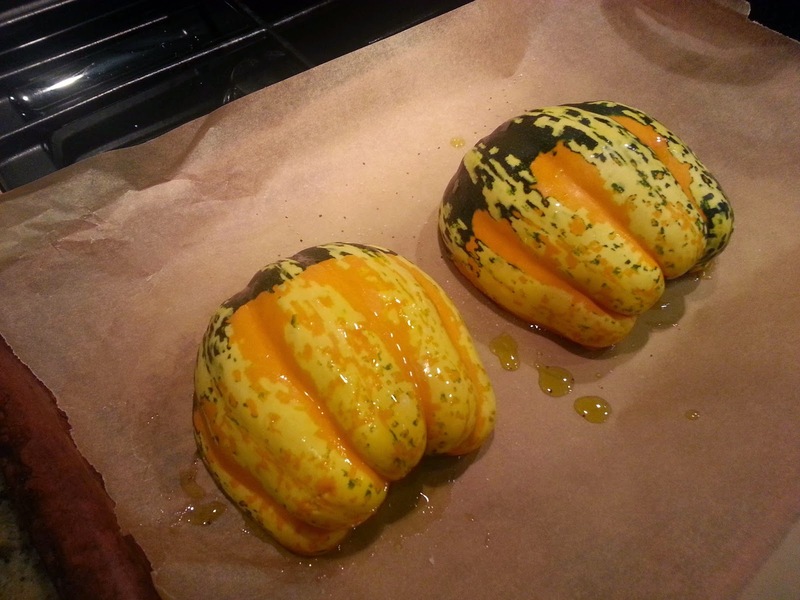 For the condiment for the sandwich, Mario says to make a pumpkin puree. Well, this kinda looked like pumpkin, right? Whatevs, it totally worked. 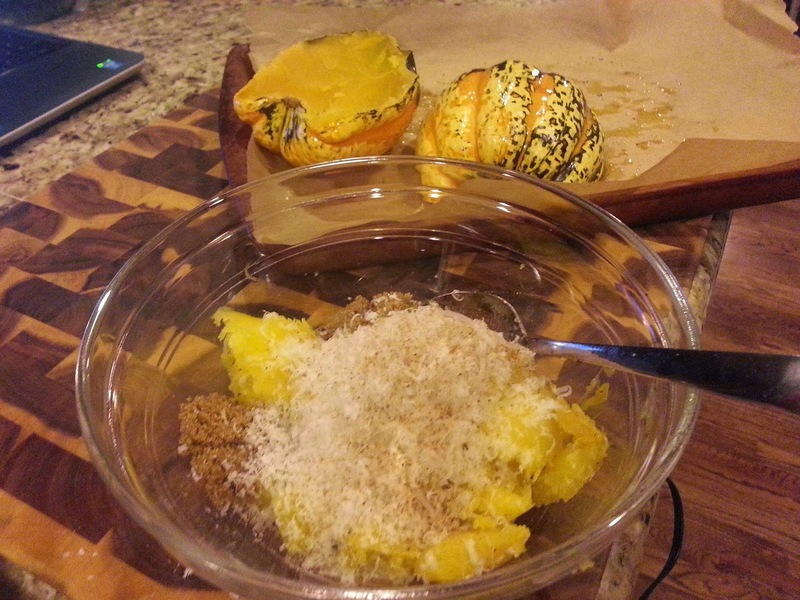 Roasted squash, roasted garlic, parmesan, nutmeg, and brown sugar. Works for me! 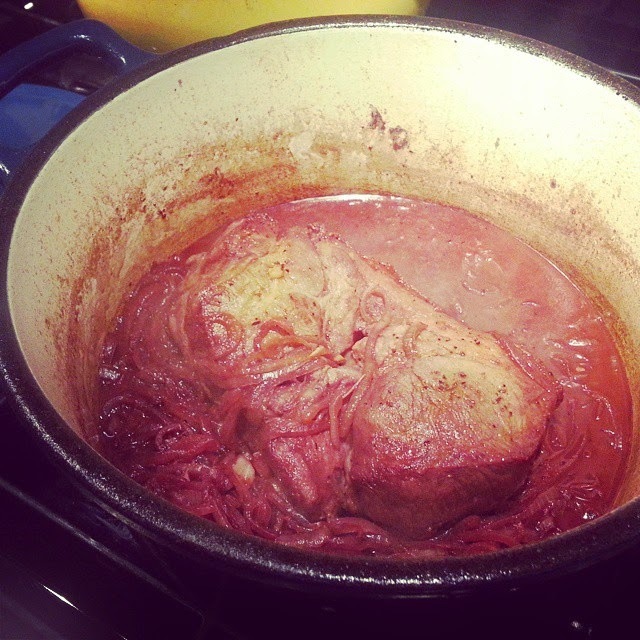 The brine for this was really interesting (a whole bottle of red wine if you're gonna use 3-4 pounds of pork shoulder). But by a half hour in, the smell in my house was amazing. I actually followed his recipe (outside of the pumpkin thing) exactly. Because I happened to have all of those ingredients. And I still had some of my crusty Italian bread left over from Sunday night, so I just used that and made open faced sandwiches. Voila. Deliciousness. And delicious the next day. Looks like I'm a pulled pork fan after all.